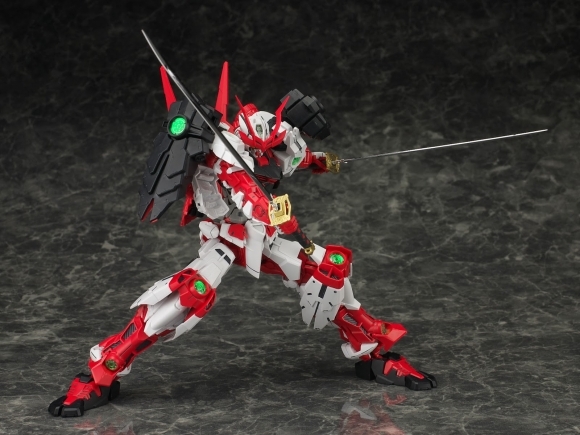 Based on the Red Frame Astray, the Sengoku Astray is more heavily armored than the original Red Frame and presented as a detailed 1/100 scale kit. 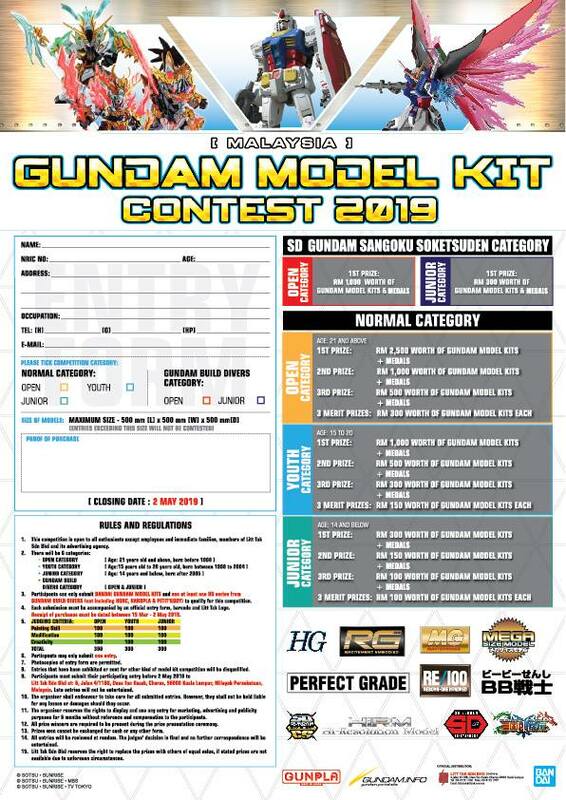 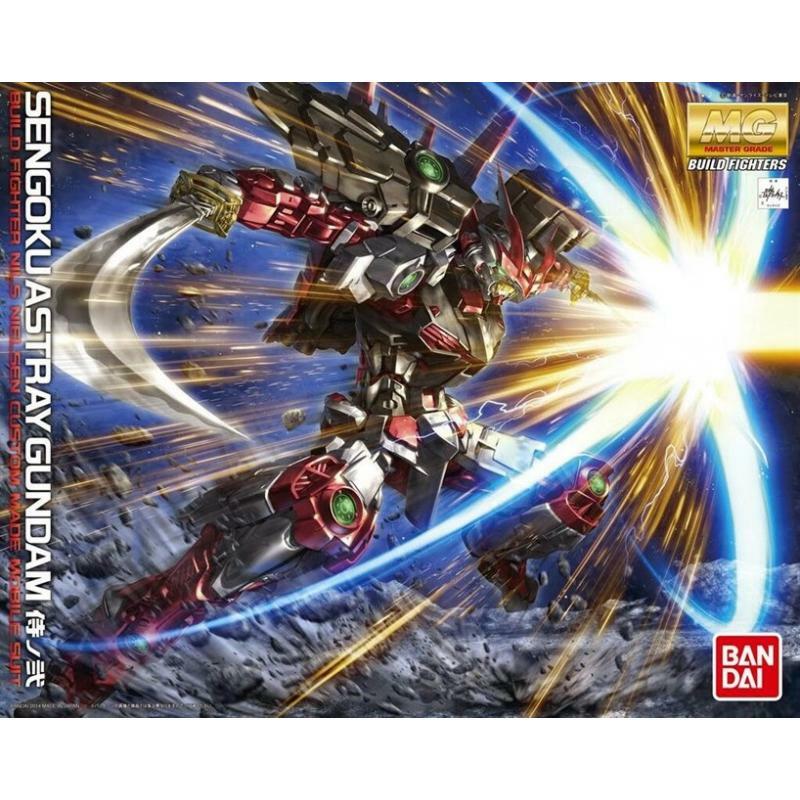 Shoulder armor and shield are equipped with a deployment gimmick, and the kit is accurately color-moulded with clear and plated parts, and includes decals for the smaller details. 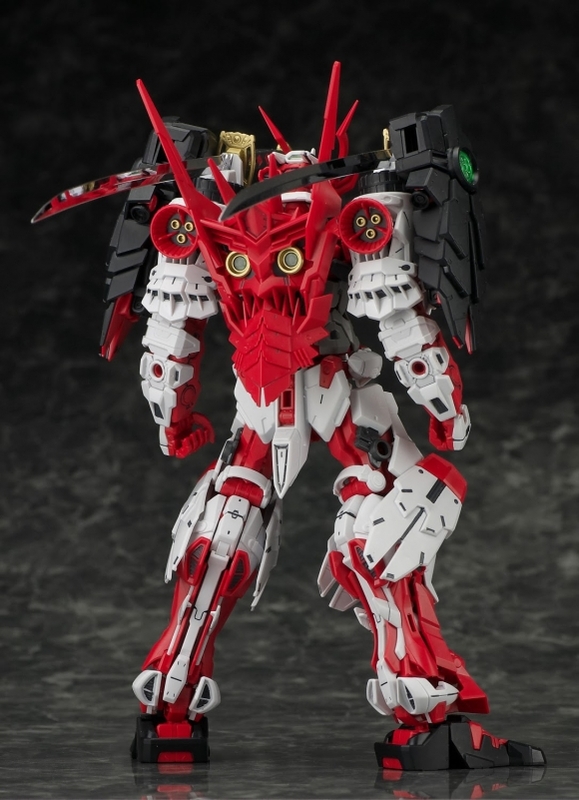 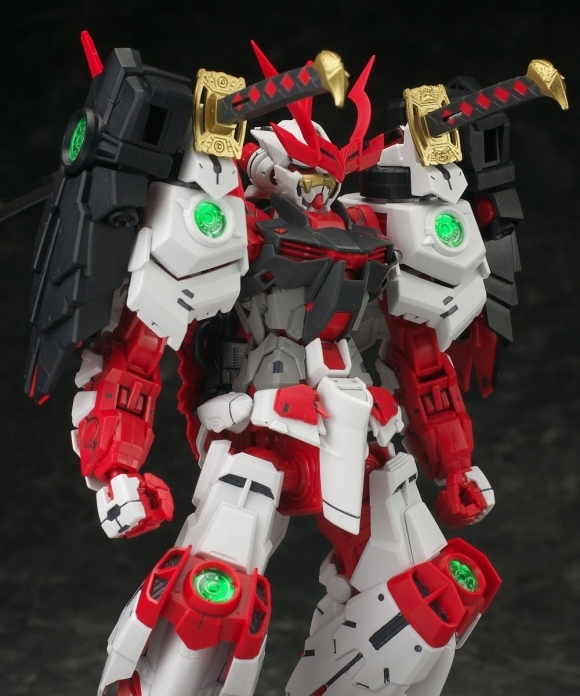 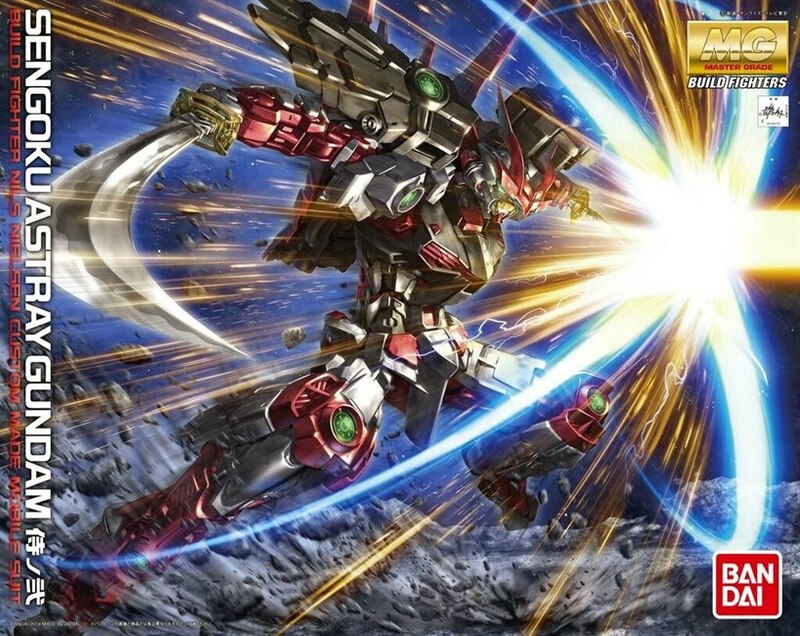 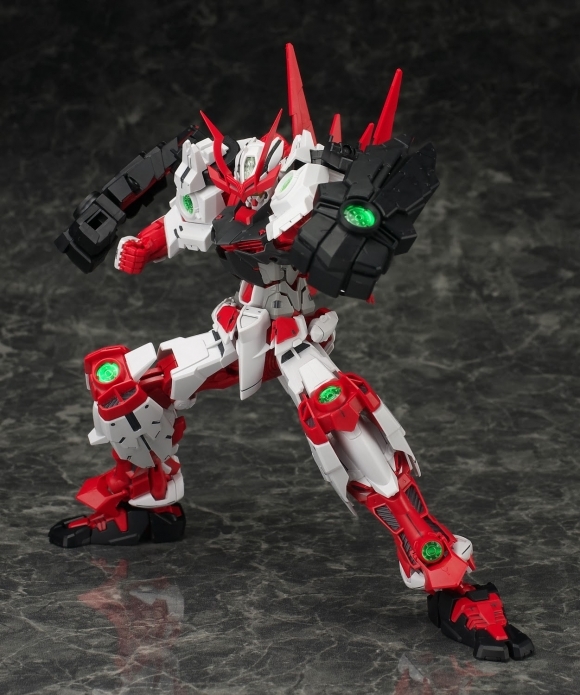 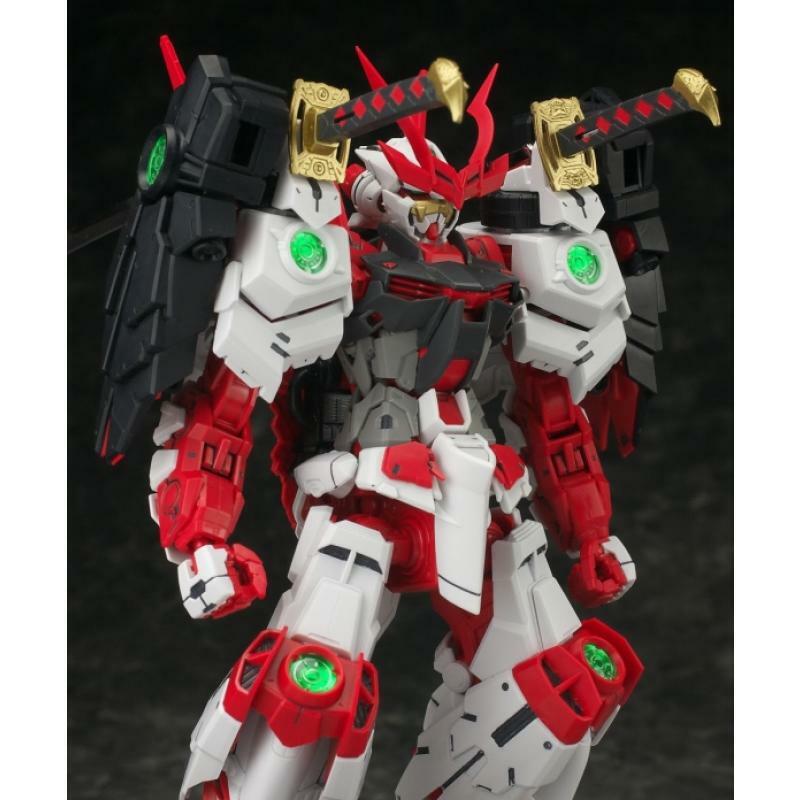 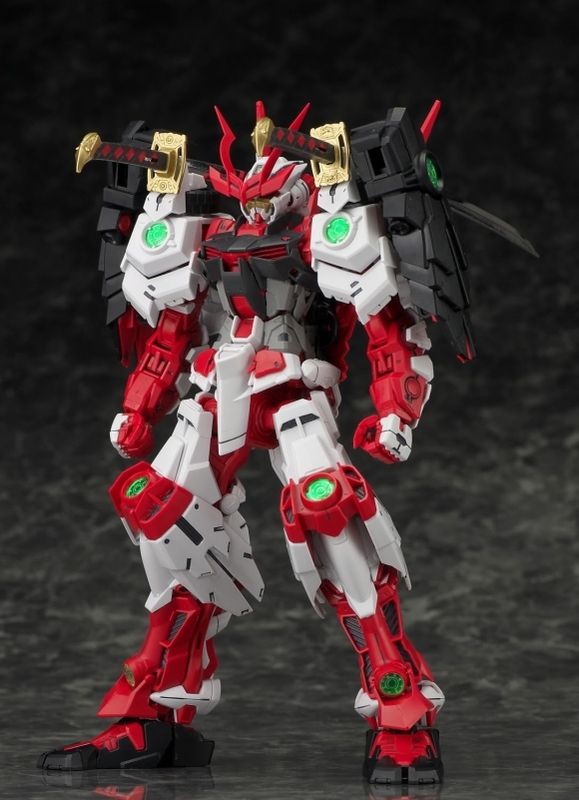 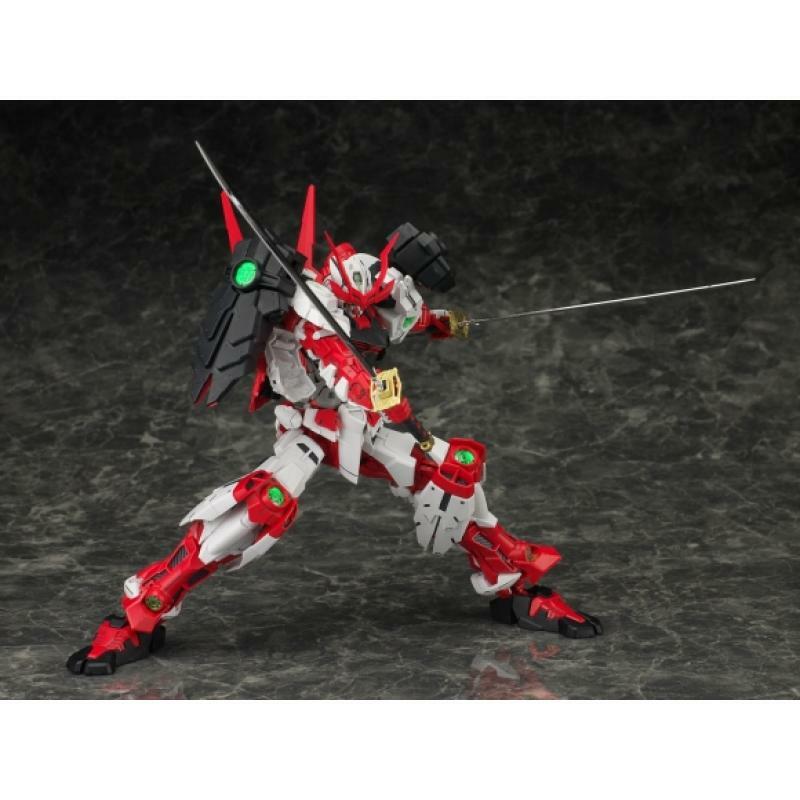 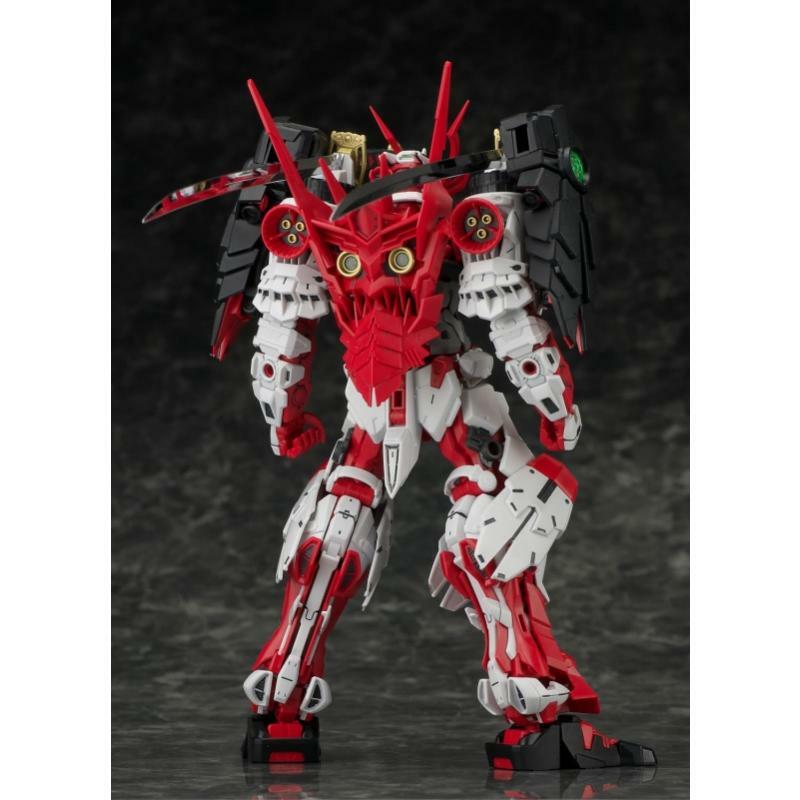 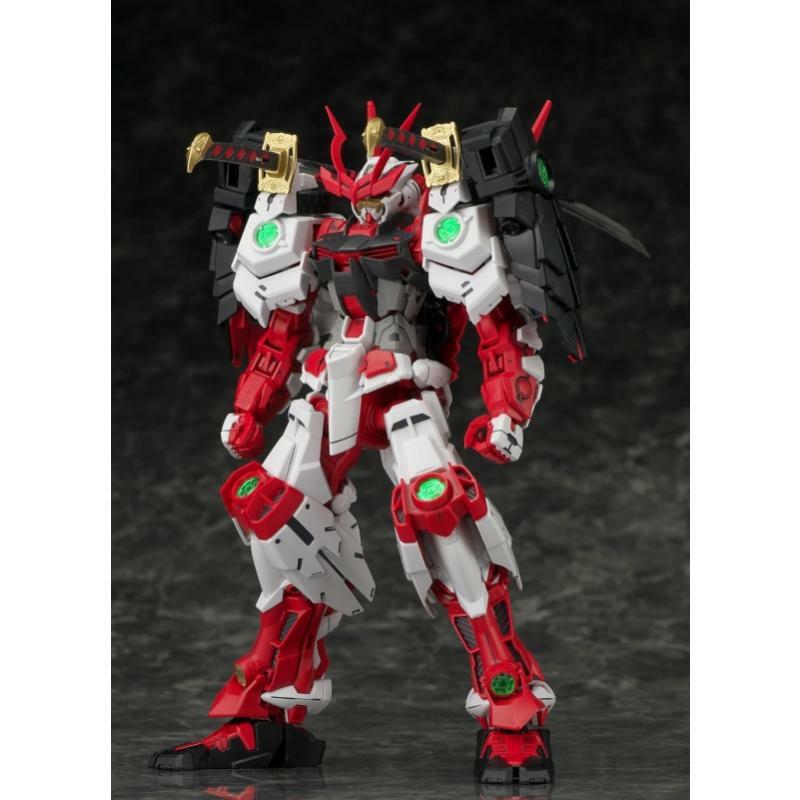 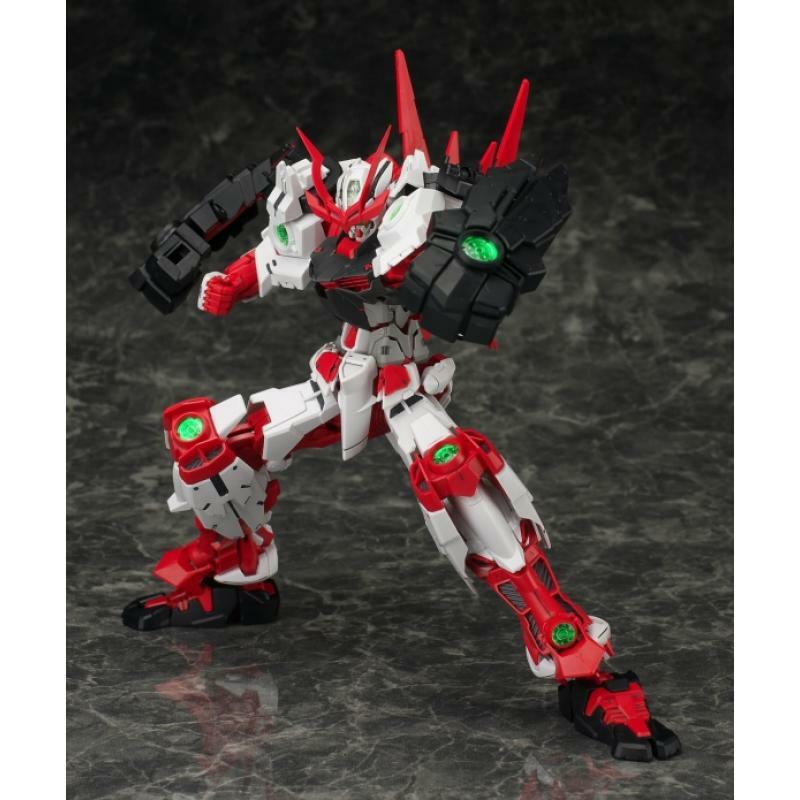 Sengoku Yoroi shoulder armor is deployable- use it to give the Sengoku Astray two extra sword-wielding arms or as a weapon to increase the Astrayâ€™s punching power. 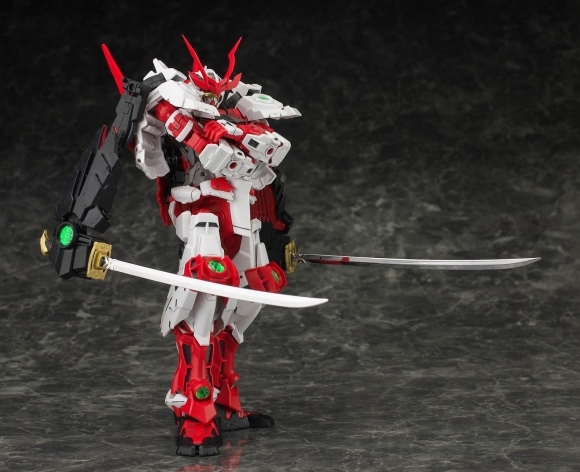 Kotetsu and Kiku-ichimonji katana swords have chrome plated blades!